Helm Auctions has prepared their first auction of the year and are launching a day of great auction action on Saturday January 23rd, 2016. 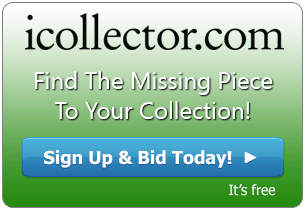 Broadcast for live bidding through iCollector.com, over 250 Lots are up for grabs to the highest bidder. 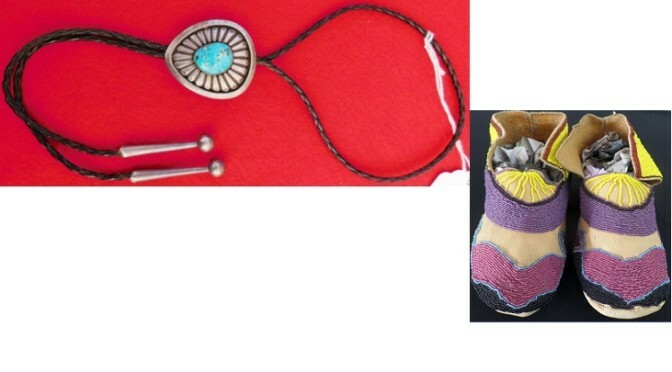 This auction consists of Native American baskets and beadwork, jewelry, kachinas, original paintings and prints, weavings, and some Pre-Columbian artifacts. Also included are some African items, weapons, beads and other treasures. Other Prehistoric items are taking bids including stone artifacts such as arrowheads, axes, and knives. In addition, there is a great selection of Anazasi and Casas Grande pottery. This auction kicks off with a great Bolo Tie at Lot 1. This is an old Navajo Sterling Silver and Turquoise design believed to be from the 1940’s. The total weight is approximately 49 grams. The tie is 19 inches long and the bolo portion itself measures 2 ¼” by 2” by ½”. This item comes from an estate of an avid collector of 1920’s relics and is in very nice condition with a great patina. The estimate on this tie between $250 and $500. Lot 33 is a very interesting and historical piece which will be in high demand. This is a collection of Spanish Pirate Treasure items from the 1600’s to 1700’s. The items are a clay pipe measuring six inches, an iron spike measuring 5 inches, some iron arrow points measuring 3 inches, and a broken bottle measuring 3 inches. Also included in this great find are 23 early silver Spanish Cobbs. These items were found in a beach area in Veracruz, Mexico and are a really interesting collectible and conversation piece. Pre sale estimates are sure to be surpassed on this item so bids should be placed with the best possible bid in mind. A stunning Authentic Tlingit Wood Plaque is on the auction block at Lot 71. One of the most beautiful pieces of the auction, this is a wonderful investment quality item. This plaque measures 26” x 13” x 1” and has a very nice patina. This is a great display piece for anyone who loves beautiful artwork. There is a selection of images to view in the online catalog and bidding is opening at a great place of only $125. Helm Auctions provides fantastic service and is available to answer any questions through email or on the telephone. They have a great reputation on iCollector.com for delivering and providing quality auction consignments for the bidding audience. Absentee bidding is available now in the online catalog and the live action begins at 1:15 Pacific Time on Saturday January 23rd, 2016.